Our calm water tours begin with a hearty breakfast at the Lake Tana Hotel in Bahir Dar. 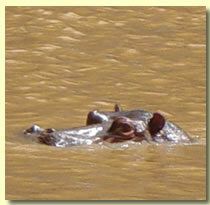 From there it's a short two kilometer drive to meet the rafts on banks of the Blue Nile. 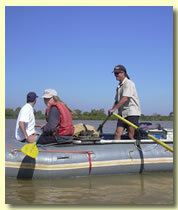 We will spend approximately two hours gently gliding down the river and taking in the scenery. Throughout the tour your guides will share the fascinating history of the region, while pointing out the amazing variety of birds. At the end of the float its a short drive back to hotel in Bahir Dar. We can also fill out the day by taking a quick side trip to see the thundering Blue Nile Falls, the second highest falls in Africa.